Monday, 14 January 2019, 9:03p.m. The three teenagers killed after the fleeing car they were driving in Christchurch exploded overnight are Glen Mcallister, Craig Mcallister and Brooklyn Taylor. Glen and Craig, aged 16 and 13 respectively, were brothers. They were speeding away from police when they ran over police spikes and crashed into a tree before the wreck burst into flames. Social media users have been posting tributes to the trio, saying the teenagers were taken away too soon. The sister of Glen and Craig said it was "hard enough" losing one brother but to lose both of them "has destroyed me". "Can't believe I'll never get to see yous grow into the men yous were supposed to be. I love you both endlessly. Rest in paradise my angels [sic]," she wrote. Meanwhile, another user told Brooklyn to "rest easy little man. Ill see you real soon homie stay hard up there your gonna be missed". Juanita Rose, mother of the Glen and Craig, told Stuff she was in "severe shock" after learning her sons had died and called them her "babies, my life". A Givealittle page has been set up to help Rose through "this emotionally hard time". The page said Rose is a single mother who is struggling to cope with the unimaginable loss of her two sons. Earlier today, nearby resident Ruth Maxwell told Newstalk ZB she missed the crash by seconds. "[There was] a loud whooshing sound ... [I] looked out the window and saw the flames, couldn't see much but a ball of fire. No one got out of the car." Police began a pursuit but it was abandoned "very quickly due to the manner of driving by the offending vehicle". 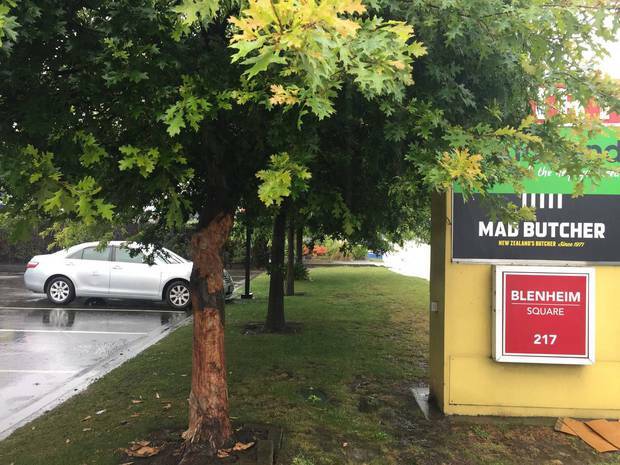 "It is believed the car has continued to drive at speed on Blenheim Rd," Price said. "Police officers immediately went to help those in the vehicle. However, tragically all three occupants died at the scene," Price said. The fatal crash following a police pursuit was the third in Christchurch in less than two months. Alexia Noble-Hazelwood, 18, was killed when the car she was in smashed into a school building on Gloucester St, late on November 16, a Friday night. The car had earlier been involved in a police pursuit which was abandoned just minutes before the crash. In the early hours of Wednesday, December 5, driver Dennis Tunnicliffe, 25, and passenger Renee Percy, 35, a pregnant Christchurch mother, were killed after Tunnicliffe sped away from police before crashing into a power pole on Breezes Rd. Police followed the car after Tunnicliffe fled but abandoned the chase after less than a minute due to the "dangerous nature of the driving".